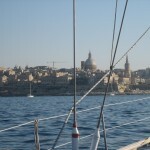 In November 2005, the Maltese VAT Department issued Guidelines (the ‘Guidelines’) setting out the VAT treatment of the leasing of yachts by a Malta company and in virtue of which the overall VAT incidence incurred on the acquisition of a yacht can be reduced substantially, depending on the size and means of propulsion of the yacht. – Since the lessor company uses the yacht for its economic activity (the leasing and potentially the sale of the yacht to the lessee), it has a right to deduct any input VAT incurred on the purchase of the yacht. For example, a sailing boat between 10.01 to 20 metres in length is deemed to be used for 50% of the time in EU territorial waters and for 50% of the time outside EU territorial waters. Consequently, Maltese VAT would only be chargeable by the lessor to the lessee on 50% of the lease payments. – Prior approval must be sought in writing from the Commissioner of VAT. If the lessee opts to purchase the yacht at the end of the lease, a VAT paid certificate will be issued to the lessee provided that all VAT due has been paid.